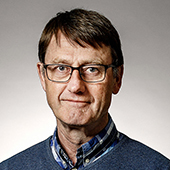 Ola Carlson is Professor in Sustainable Electric Power Production. His research interests are electrical systems for renewable power production and hybrid electric vehicles. Since 2010, Ola is the Director of Swedish Wind Power Technology Centre. He is also a member of the strategic board of wind power at the Swedish Energy Agency. There might be more projects where Ola Carlson participates, but you have to be logged in as a Chalmers employee to see them.